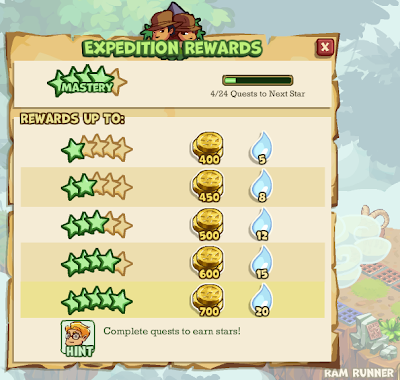 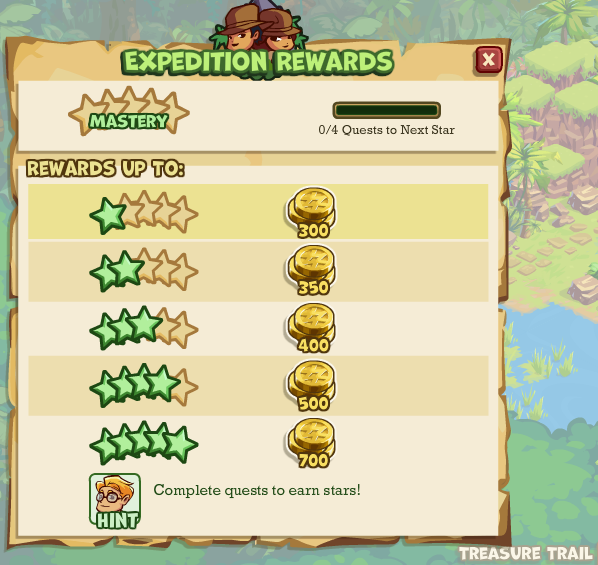 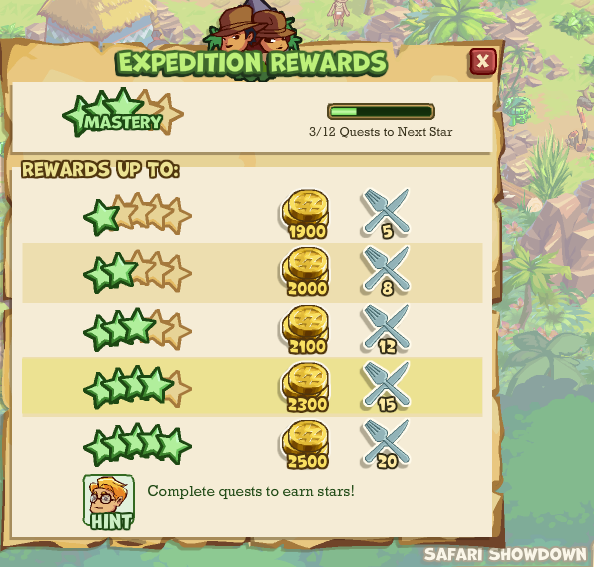 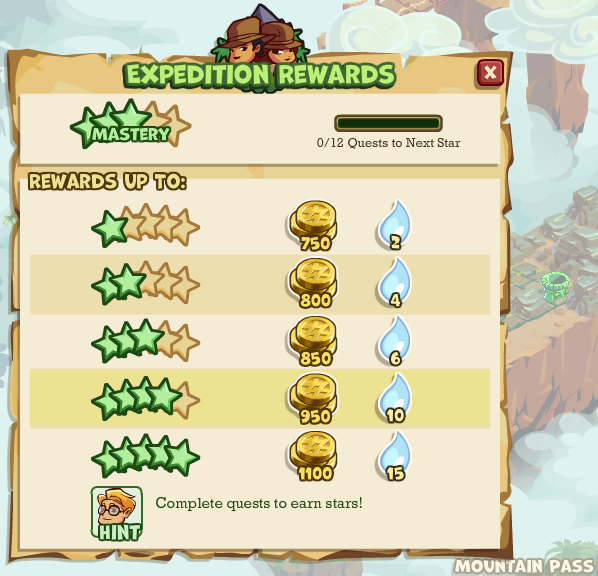 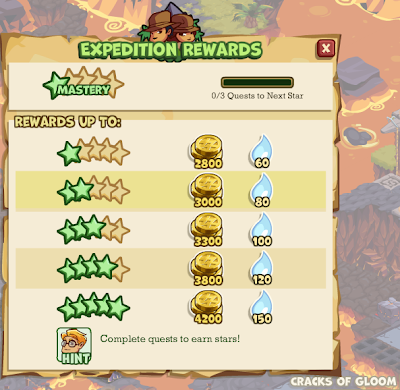 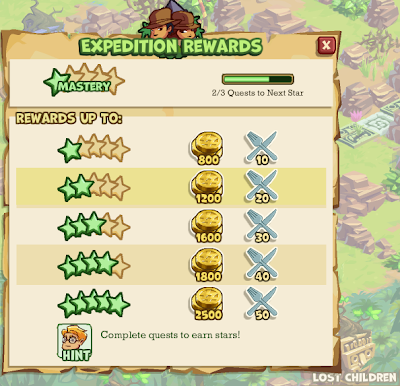 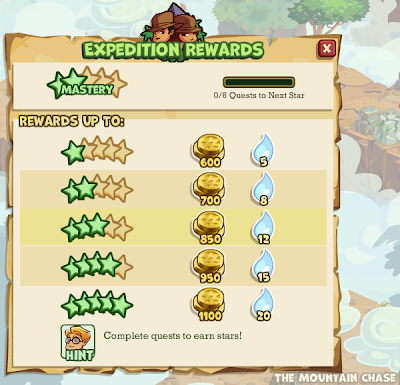 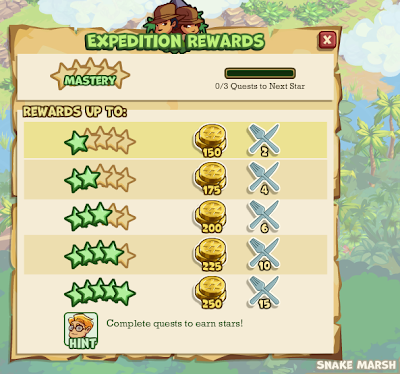 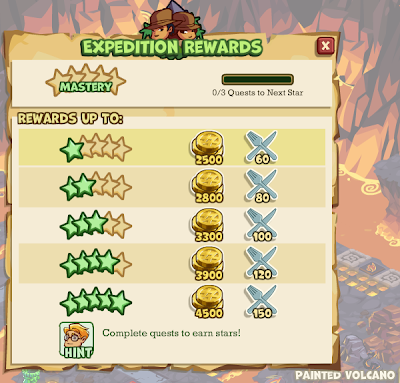 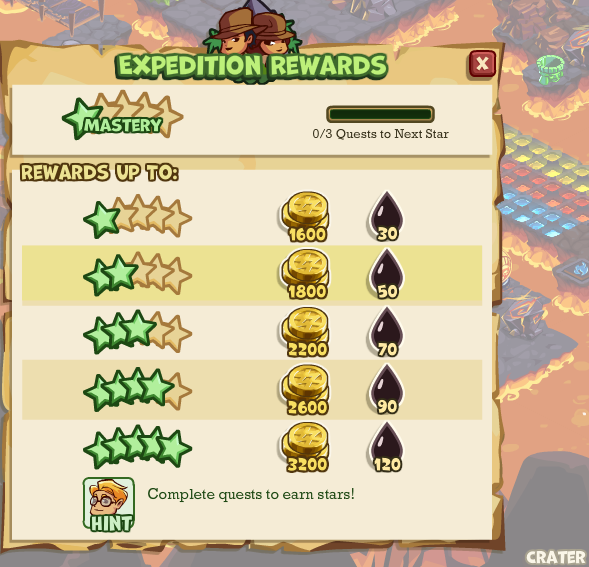 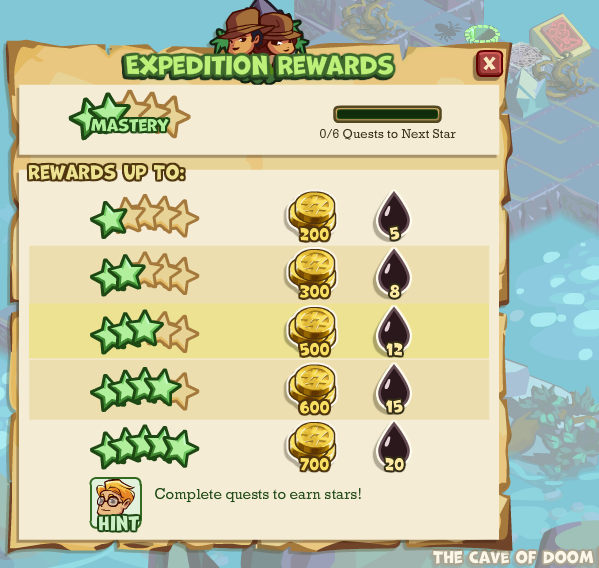 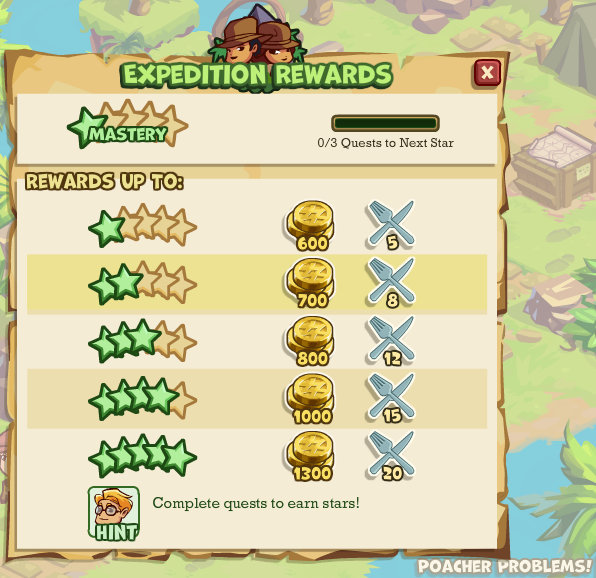 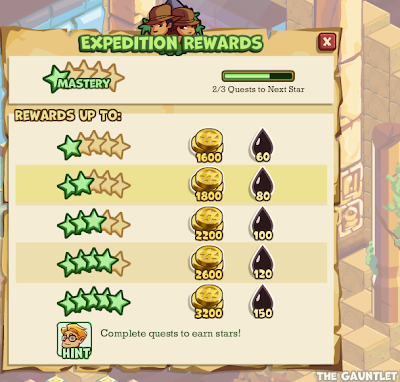 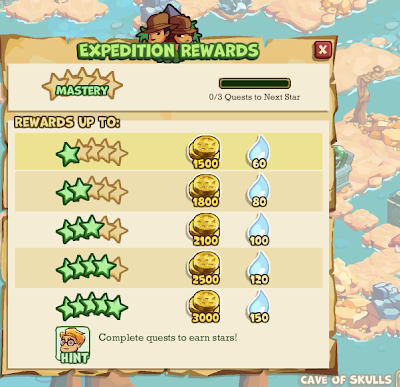 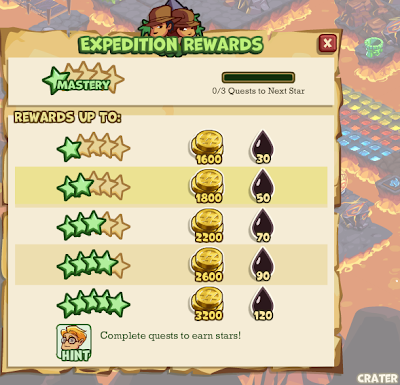 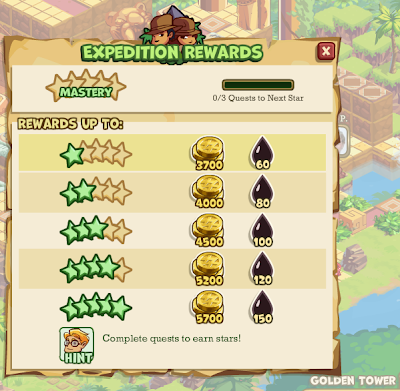 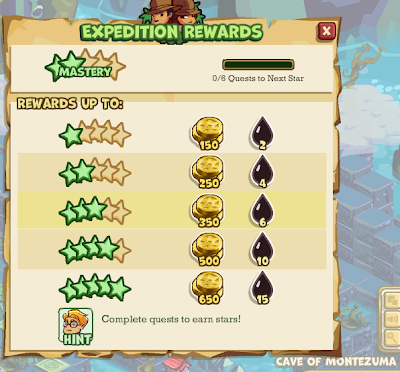 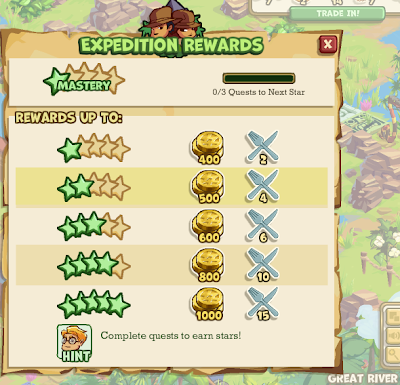 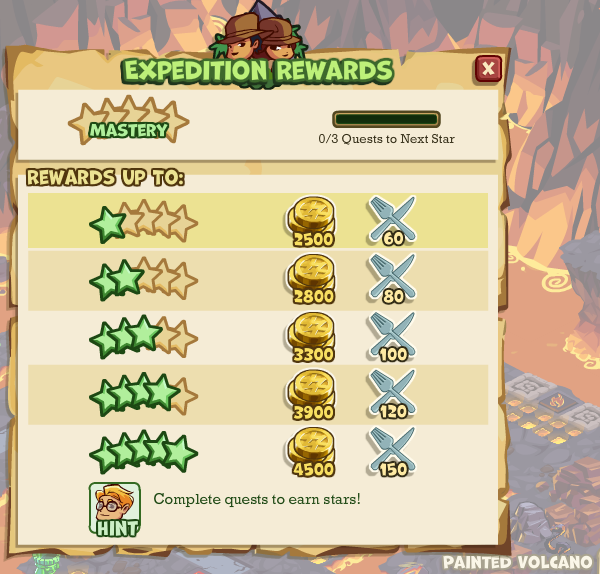 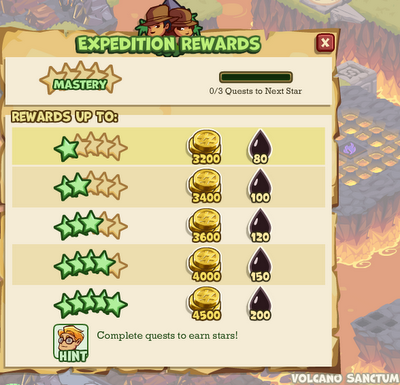 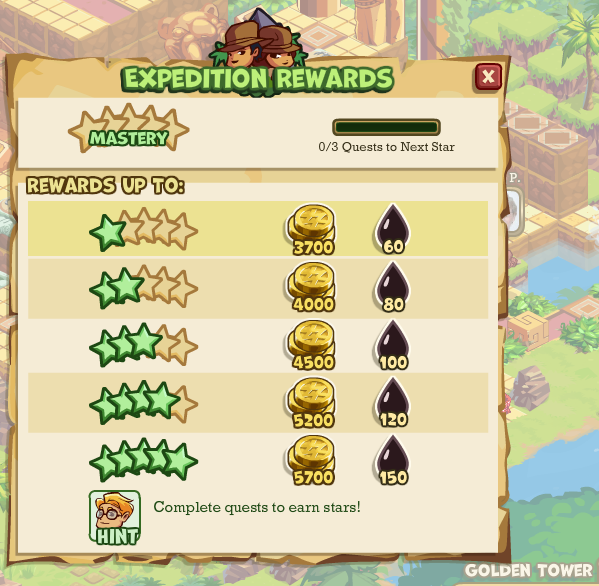 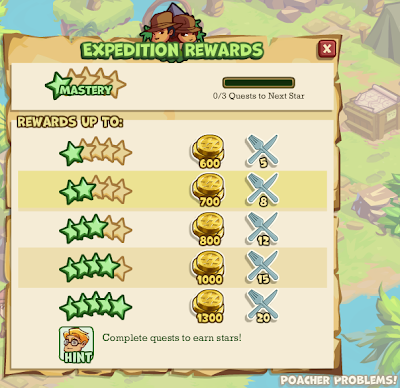 When doing an expedition, on the bottom left of Adventure world game screen, there is an option of Mastery Rewards. Below there is a list of those tables (still in construction). 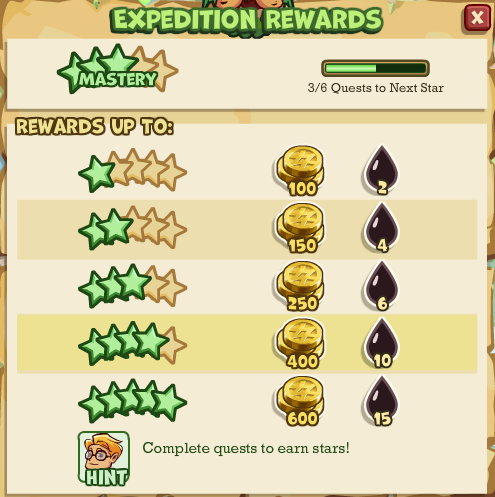 The rewards are the amount of BONUS gained when completed the mission and they don't change, except if you level up the mastery star.